In a single word, magnificent can be used to describe this home's location, layout and attention to detail. 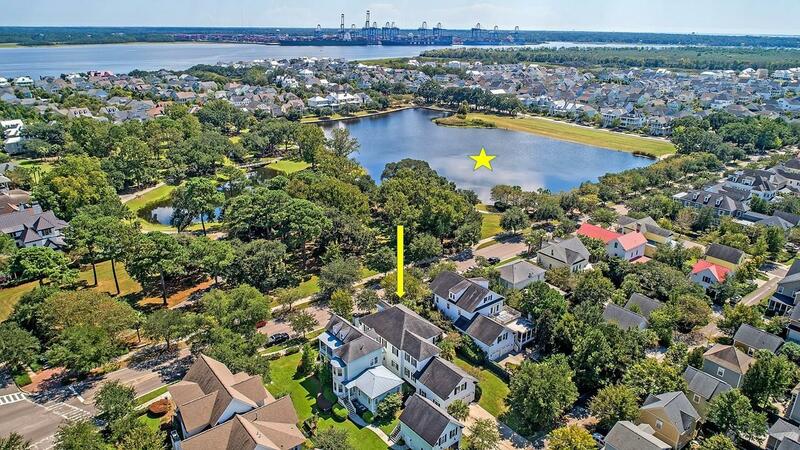 You can't get much closer than just across the street from the absolutely breathtaking Smythe Lake, the Pirate Park and walking distance to schools, 2 neighborhood pools and Daniel Island shops and dining. This two story home boasts a sun-drenched, open layout that features a first floor master suite, an inviting front porch, spacious, screened-in side porch and an amazing FROG that could serve as a mother-in-law suite with its own en-suite full bath. Gleaming hardwood floors, plantation shutters, crown molding, wainscoting, SS appliances, granite counters and beautiful tile work are among some of the high end finishes you'll find at your new home!